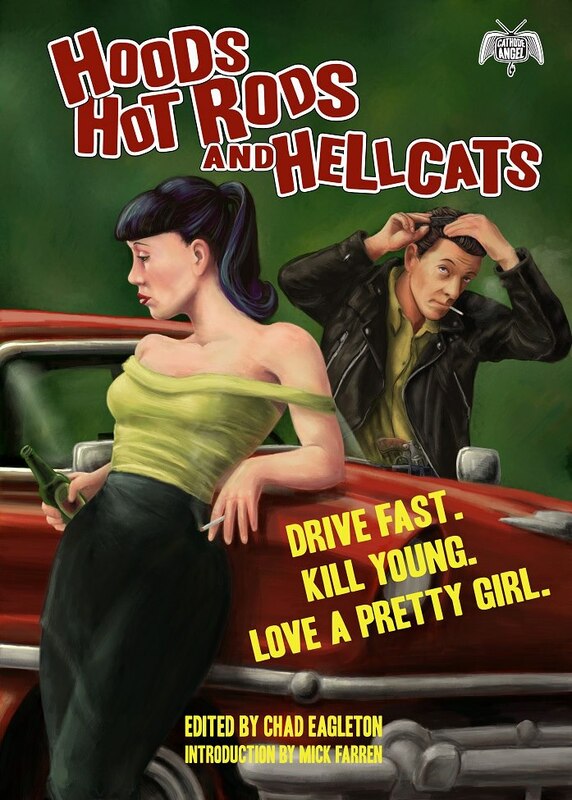 Hoods, Hot Rods, and Hellcats is finally available at Amazon. Seeing this through from idea to development to crowdfunding to final release in the world proved to take a lot longer than I thought, but that’s okay. I learned a great deal and, ultimately, the length of time only affects me and my overdeveloped sense of obligation. I hope you’ll take the time to check it out. The ebook is $1.00 and the paperback is $7.50, though if you buy the paperback you can get the ebook free as part of the match program. (If you’re looking for the epub version, message me directly.) There’s some great stories in there. Any one of them is worth the price of the book and the late Mick Farren’s introduction is pretty amazing.